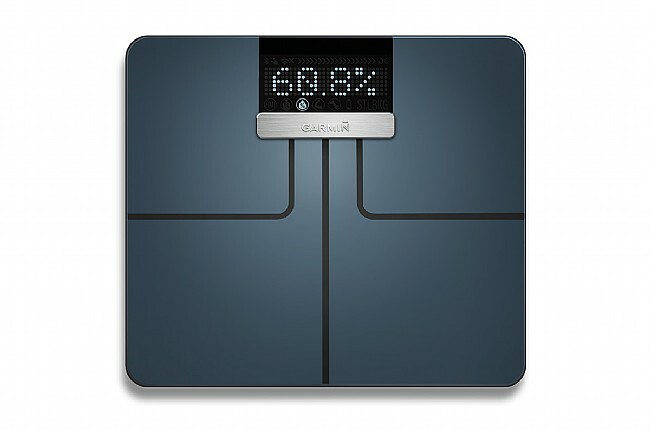 The Garmin Index Smart Scale makes it easy to measure and keep track of essential body metrics by syncing data over WiFi with Garmin's free online Connect app. Measurements include weight, body mass index, body fat/water percentage, bone mass, and skeletal muscle mass, and the Index can store up to 16 individual profiles for different users. Initial setup requires a Bluetooth Smart enabled phone or ANT+ enabled computer, and once complete, the scale will automatically upload to Garmin Connect with each use, where graphs can be viewed online to view changes and progress over time.